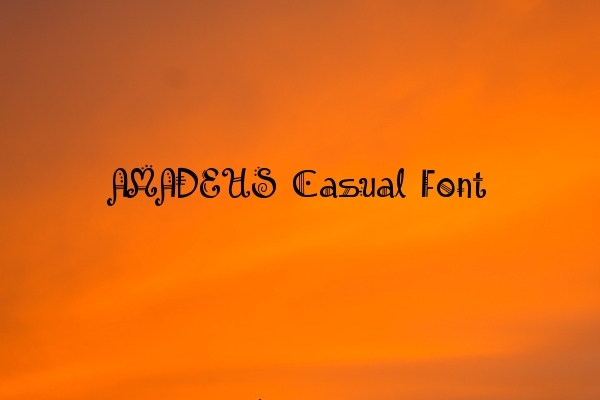 15+ Casual Fonts – TTF, Photoshop Format Download! 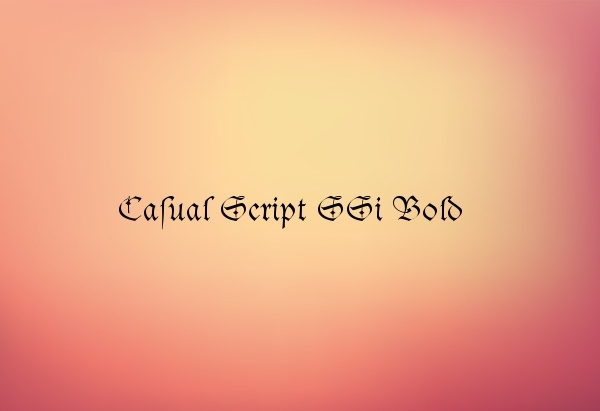 The modern day classification of different scripts, fonts or typefaces on the basis of handwriting comprises of two components, formal and casual. The formal style usually represents the feel and essence of the 17th and 18th century, sometimes even based on the actual handwriting of certain masters. But in the time when people can share their ideas and designs with millions in less than a minute, formality is not that strong. So is the case with casual fonts. Much less formal, these font styles include stronger strokes often with a brush like appearance to the characters which resembles the modern casual handwriting. Casual fonts are frequently used by designers from across the globe to get their designs speak out loud. 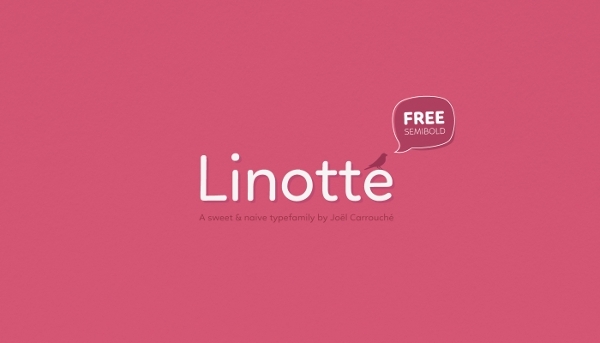 Check out some of the cleanest, most sleek Artistic Fonts, which you too can access through the web. Designed by Mri Khokon, this brilliant and abstract typeface has almost perfect straight lines and curves in the characters, giving it an almost stenciled look. 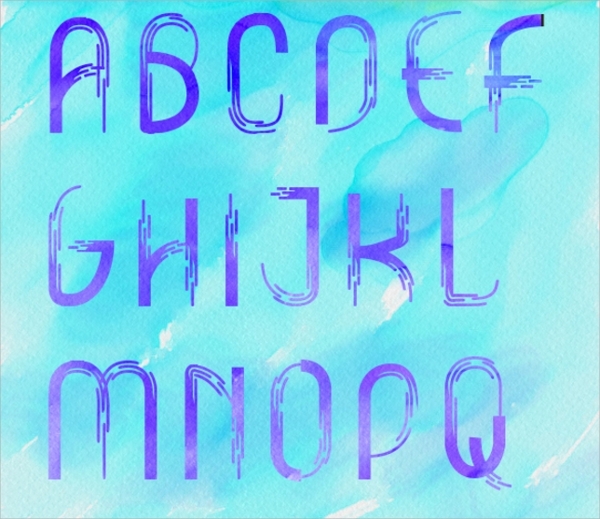 This font can be used in corporate flyers, and will even work for logos and posters. 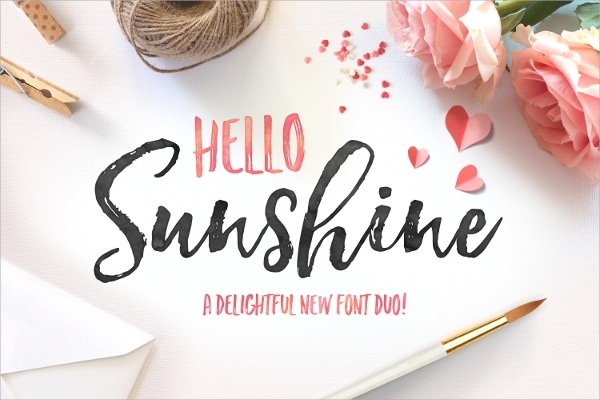 This font will truly add sunshine like glory to your design. Provided with the hand brush imperfections and alternate characters, this typeface will suit perfectly for any design concept. And duo because it comes with complimentary marker font. Almost formal, this font will definitely make you pause and look for a second. You can swear it has straight lines and perfect edges, but when looked upon, you can see something is not so formal about it. This font doesn’t require much description, as the look speaks for itself. Also, it is free. 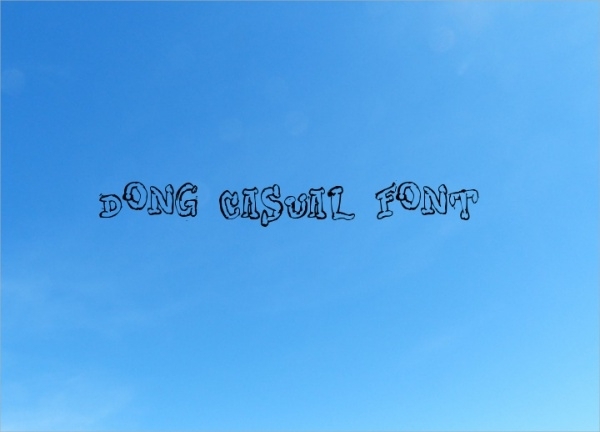 Dong Casual font is an outlined and scribbled style of handwriting, with a kind of puff and bubble-gum look. Almost cute, this style is totally humorous, especially with the use of new style for representing numbers. Do check it out here. 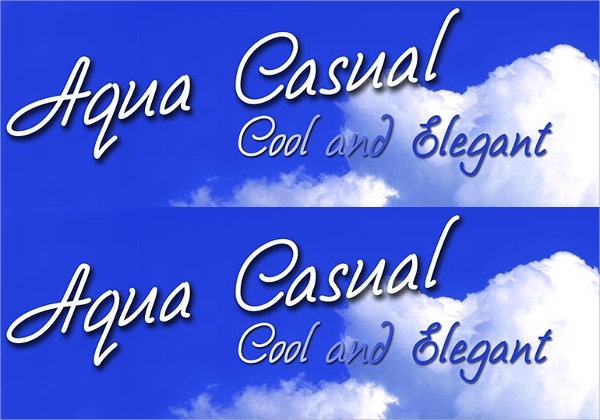 Designed by Anton Scholtz, Aqua is a nice header font. This font gives an elegant feel to the design. Inspired by pre 20th century style, Aqua comes in both cases, along with numerals and other characters. 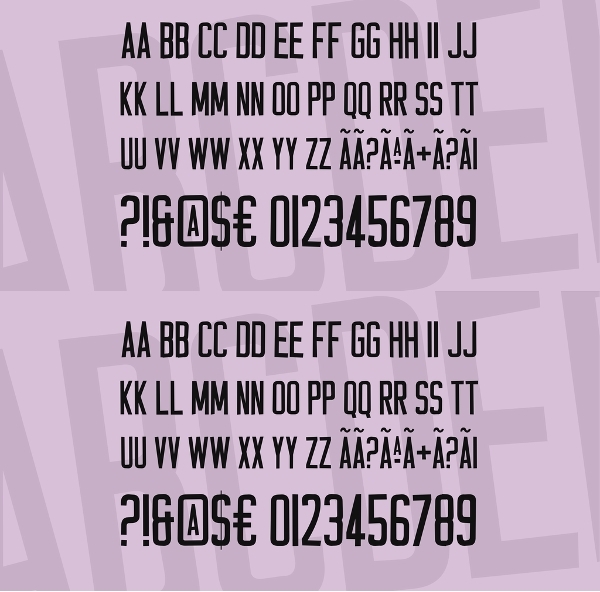 This typeface is a piece of pure art. It uses a lot of lines and dots, added decoratively to each of the characters, thus adding their novelty. 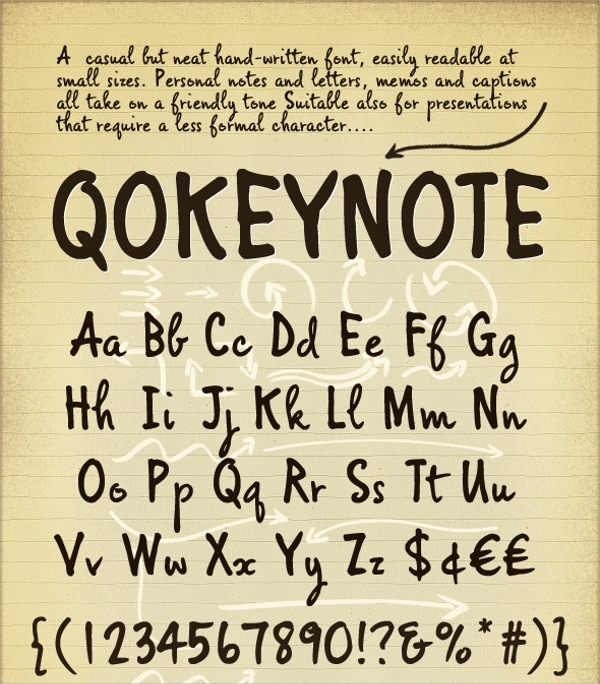 Do check this font out by Bright Ideas, even though you don’t use it for your own design. Looking for that simple, yet nice and warm friendly voice for your design? 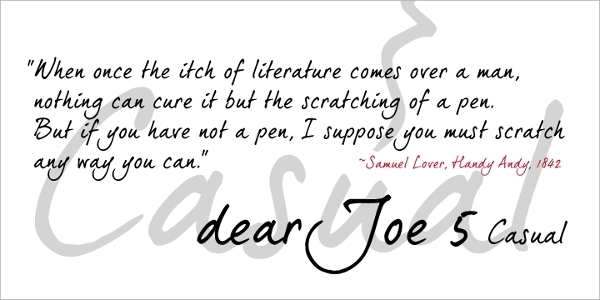 The hand written Scrap Casual font might be the one that appeals to you with its clean lines, and obviously the casual appeal. 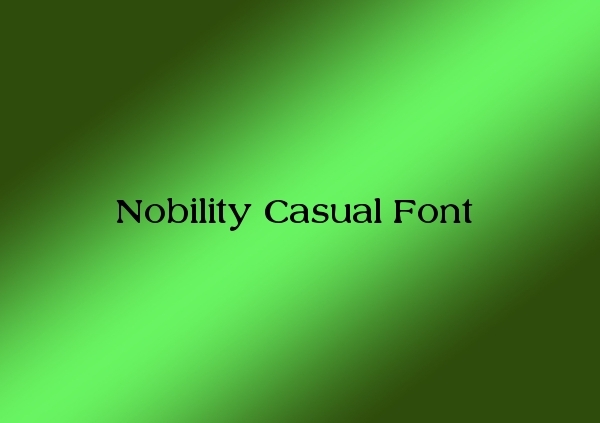 Designed by Digital Graphic Labs, the stenciled look of the Nobility Casual typeface can almost be the simplest casual font to work with. Also freely available to download, it includes the basic numerals and characters in it too. While most of the casual fonts are reminiscent of the recent handwriting, this casual script is a little more ancient than that. Well, not the script itself, but the look and style of it. Filled with curves and pointy edges, it is quite unique in its style. Choosing the right font for your design can be a difficult task, as it is not just about conveying the message or idea, but also about getting the feel right. Casual fonts are perfect for an end to end design, where each section of the content can comprise of text in a casual font. And if your design is a theme based concept, you can finish it off with a correctly setting novelty font.